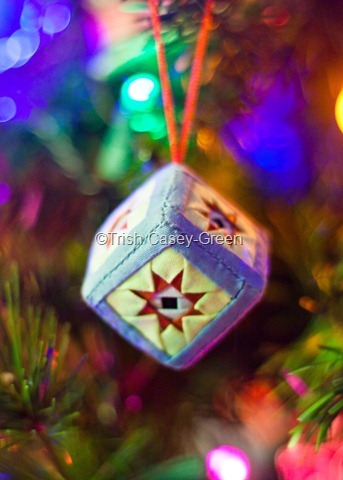 This ornament came into my life back in 1994 (pre quilting days for me!) when Arlie and I toured Virginia and Washington DC on the expected 10 or 11 year old summer vacation to things that are ‘boring’! We toured the White House, courtesy of Rep. S. Molinari, DC, the museums and such, then we visited Williamsburg, and Mt Vernon and Monticello. We came home and a week later Arlie was back in the car, for a second round of Williamsburg, courtesy of her best friends family!